When I saw that this movie was being released, I didn’t think much of it because I had never heard of it before. Which is the same with a lot of releases by Arrow Video. Fortunately for me, most times that I go into their releases blindly, I’m glad that I did. 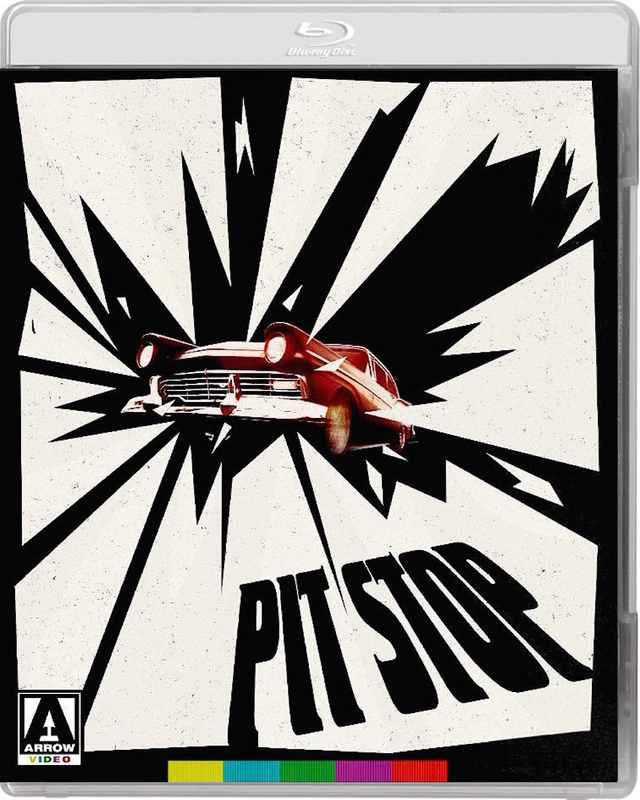 Pit Stop is a gritty “bang em up” style car racing movie, that I couldn’t help but enjoy. The story is basically about a guy who has no care in the world, that will do anything for money. In this particular case, it’s racing. There are many things that I enjoyed about this movie but the one thing that stuck out in my mind most, was how surprising my emotions towards the main character would change from the beginning of the movie, to the end. It was nice to see a movie that wasn’t predictable for a change. The main character really stuck out to me because in a lot of movies, you know what his/her motives are…but not with this one. Just when I thought I had him figured out, I realized that I didn’t. You’ll see what I mean once you check it out for yourself. The acting and portrayal of each character in this movie was done well. In addition to that, the racing scenes were a lot of fun to watch. The Figure 8 races were crazy, especially because a lot of it were filmed from live events. So when you’re watching these cars crash into, and flip over each other…that really happened, and not just as stunts for the movie. I did however, feel that the some of the racing scenes were sometimes a little bit too long, and I was watching the same thing over and over again. It wasn’t anything too bad but it did cross my mind a few times. As far as the Picture Quality goes, it wasn’t bad by any means but it wasn’t perfect either. It’s the best that you’re going to get from an older black and white movie. The Audio Quality was fantastic, making the racing scenes sound like you were actually at the race. In addition to all of that, this set is jam packed with tons of special features, adding so much more to the overall worth of it. I can’t say that it’s one of my favorite movies but I did have a lot of fun with it, and I recommend you checking it out, and/or picking it up.